Main city of Aosta Valley (Val d'Aoste), a bilingual region in the Italian Alps (French- and Italian-speaking). 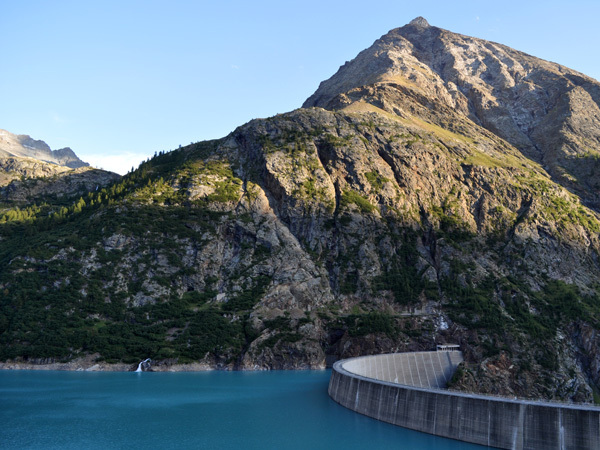 It is an important European crossroads, a gate to Italy, France (Mont Blanc tunnel) and Switzerland (Grand-Saint-Bernard tunnel and mountain pass). Do you think the Matterhorn/Cervin is a Swiss mountain? You're wrong! It's an Italo-Swiss mountain, as the border is just crossing its top! 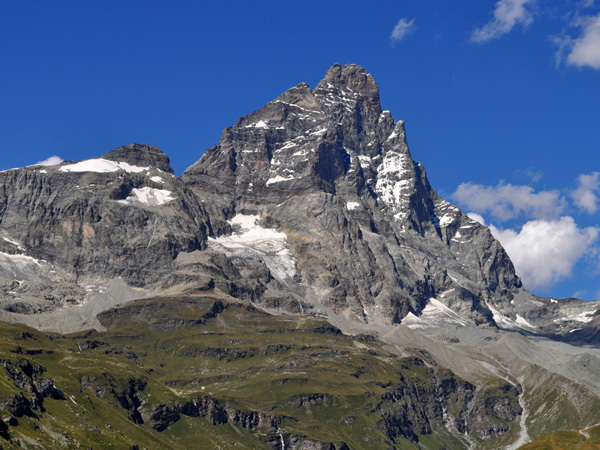 You can reach the Cervino from the South, across the Val d'Aoste then along the Valtournenche. 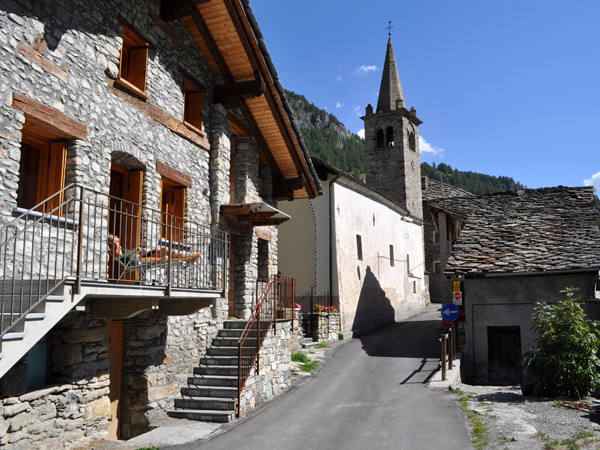 South of Aosta, a little town (some 1,500 inhabitants) in the eponymous valley. To the south, the Valnontey valley leads to the slopes of Gran Paradiso. 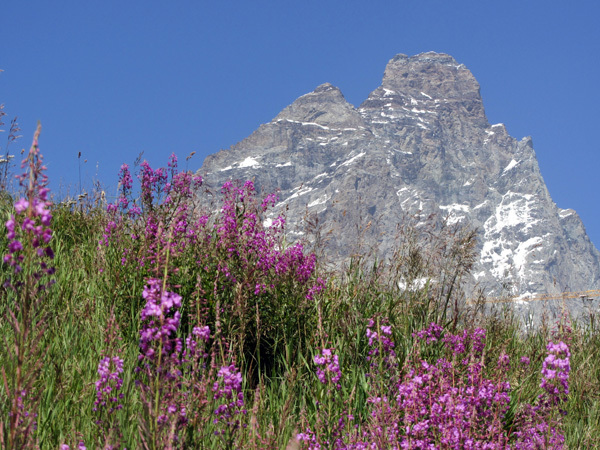 Set in a picturesque mountain scenery, Courmayeur is an attractive year-round destination. Located at the foot of the Mont Blanc massif on its Italian side, it is a famous ski resort in winter, and a hikers paradise in summer. A little town in Piedmont (Northern Italy), on the south side of the Alps. First town south of Simplon mountain pass and railway tunnel, on the Brig-Milano connection. The high mountain pass between Valais in Switzerland and Val d'Aoste in Italy. Home of the famous St-Bernard rescue dog, the one that has a keg around the neck! A valley of the Italian Alps, above Aosta (Val d'Aoste), remote but easy to reach. A paradise for treks, far from the trendy villages and therefore quite authentic. You'll love it! 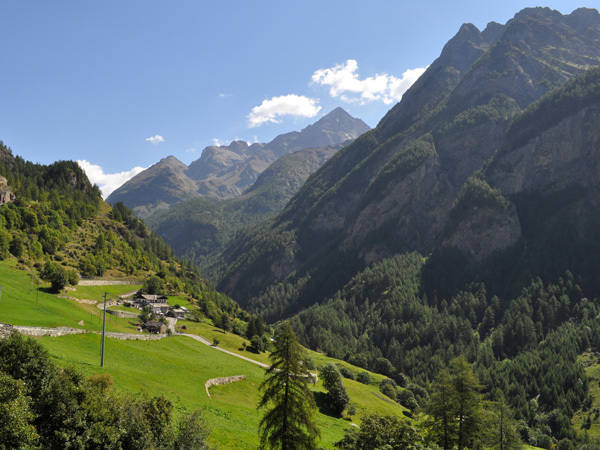 The Valtournenche valley, in Val d'Aoste, is the Italian side of the Matterhorn, named here Cervino. 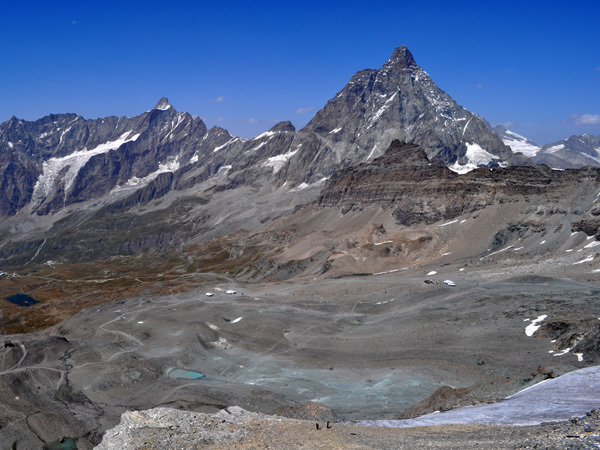 South of Mattertal valley, on the Swiss side, you have Zermatt, north of Valtournenche you have Cervinia-Breuil, right at the foot of the famous mountain. South of the Monte Rosa massif, an Italian valley which was populated by Walser, Germanic people coming from Wallis (Valais, Switzerland). Facing the east side of the Monte Rosa with its 2,600 m vertical drop.